Roald Dahl remains one of our best-loved authors, as his creativity and mischievous mind seem to have struck a chord among children and adults alike. More than 20 years after his death we are still entranced by his writing and his inventiveness. If you do not already know why he once put a dead mouse in a sweet jar, or that he crashed a plane in the desert, or the correct way to pronounce “Roald”, or that that he always kept 6 pencils to write with…you’ve come to the right place. As well as a complete timeline of Roald’s life and a full list of books, we have a load of fun and fantastical facts to explore. Enjoy! 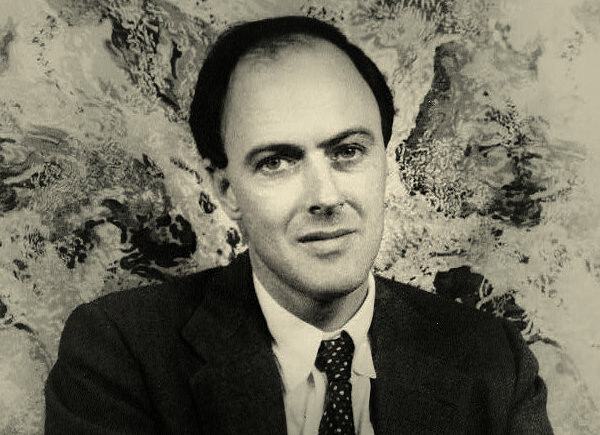 Above: Roald Dahl photographed in April 1954 by Carl Van Vechten. If you want to know more about the man and his work, then Roald Dahl Facts is designed to provide a quick, simple and fun snapshot of some of the key facts and figures on his life and his writing. I hope you find something of value – happy reading! There is a great deal of coverage of the life and works of the children’s author and novelist Roald Dahl on the web. Roald Dahl Facts aims to provide a quick and readable reference to the more significant and interesting facts and figures about the man, his biography, family, books and legacy. We hope you find something of value here, and if you reference this material on another website or other published material do please credit the website. All of the facts and figures displayed on Roald Dahl Facts are correct to the best of my knowledge, however the accuracy of the information presented cannot be guaranteed and so in using any of the facts or images from this website you do so entirely at your own discretion. If you spot an entry that you believe is inaccurate and requires correction do please let me know – I do not wish to perpetuate inaccuracies. You can contact me at ‘hello [at] historyinnumbers dot com’.